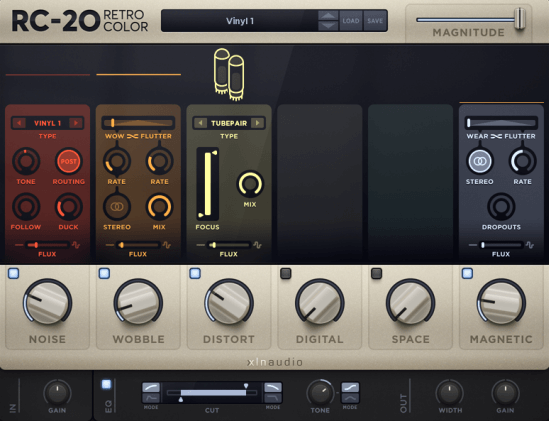 XLN Audio RC-20 Retro Color - a plugin that will add vintage character for sound record. He not only recreates the warm sound of vintage analog equipment, but will also be useful in terms of any modern music productions. XLN Audio claim that with its six unique FX modules, RC-20 can replicate everything from vinyl records to VHS machines, adding noise, wobble and dropouts to tracks. Solid State Logic - Duende Native 5.1.1 VST - is a powerful package of quality tools (plugins) for audio processing. A set of plugins Duende Native - a collection of tools for audio processing that bring professional sound quality, refinement and performance for all users of digital workstations. Duende Plug-ins provide the superior precision, advanced options and legendary tonal characteristics of SSL consoles in VST / AU / RTAS formats. This is the easiest way to get their hands on professional tools that will help you achieve professional- , sounding as commercial products.